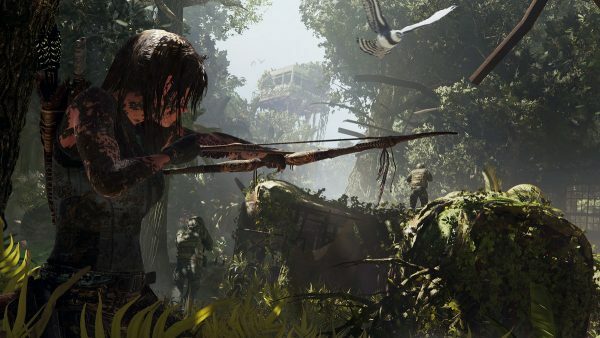 Shadow of the Tomb Raider’s gameplay was front and center during Square Enix’s E3 2018 presentation. Shadow of the Tomb Raider was already featured at Microsoft’s E3 press event, but largely in trailer and screenshot form. We now have a better picture of the overall story – which focuses on an impending Mayan apocalypse – but gameplay features aren’t explicitly detailed. Well, outside of “Hey, it’s more Tomb Raider”. Thankfully, Square Enix had an E3 event of its own, a perfect opportunity to dig into the nitty gritty details. So what can Lara Croft expect as she explores her darkest, deadliest tombs yet?